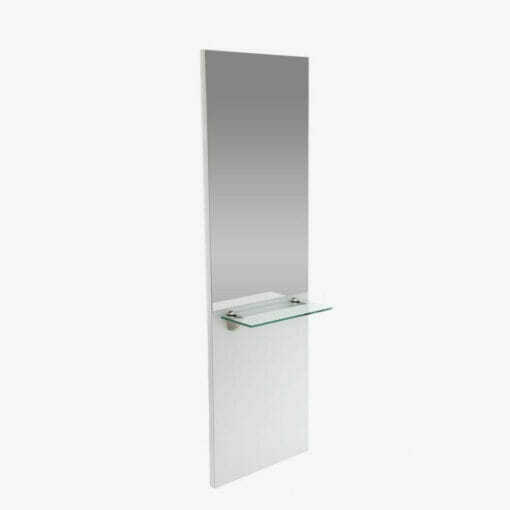 A wall mounted mirror styling unit with glass shelf and available with or without a footrest. 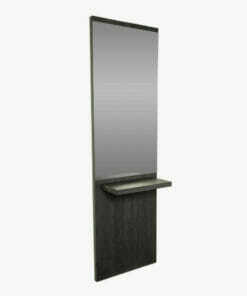 Wall mounted mirror unit with a stylish glass shelf. 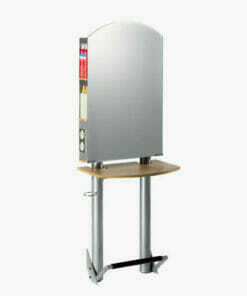 This unit is available with a footrest as an optional extra. The lower panel can be finished in any colour from the Crewe Orlando laminate range. 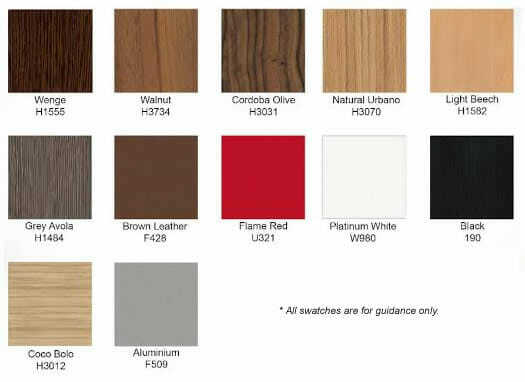 (Please use the drop down box to select your laminate and see the colour chart below). * Other colours available on request for an additional fee, please call 01270 630280 for details. Dimensions: Width 60 cm, Height 200 cm, Depth 27 cm. 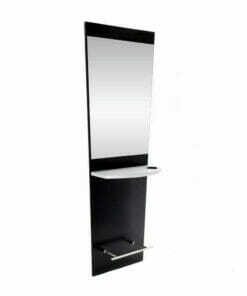 A metal framed mirror unit which easily mounts to the wall and features a storage space behind. 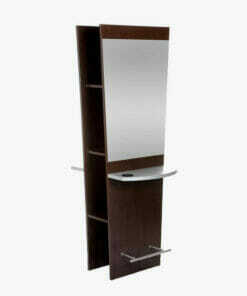 A simple yet stylish designed wall styling mirror unit with work shelf. 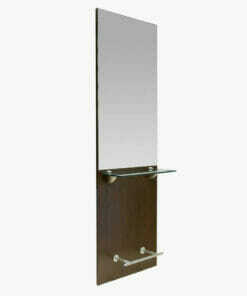 A wall mounted styling mirror with a fitted metallic footrest, rounded shelf and dryer holster. 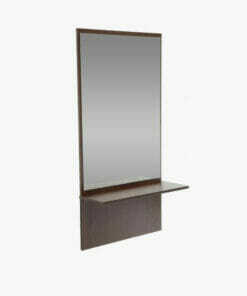 A simple yet stylish mirror unit traditionally designed with shelf which easily mounts to the wall, popular seller in black. 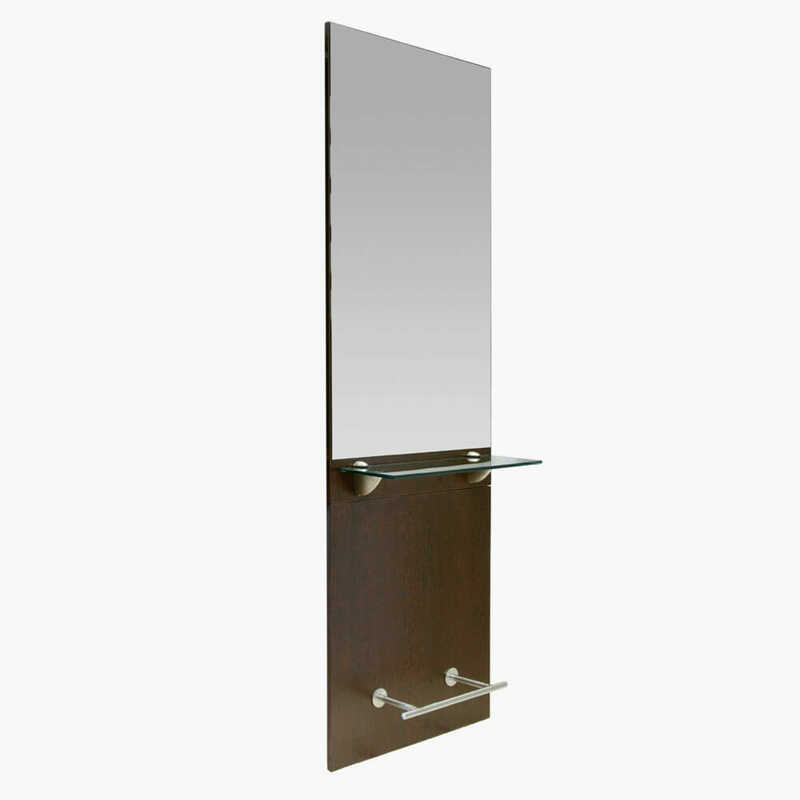 A stylish wall mounted styling unit with footrest, wooden shelf and integral dryer holder. 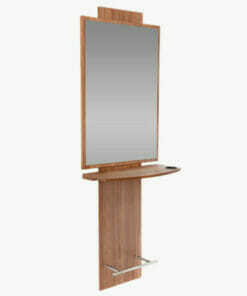 A substantial styling mirror unit which comes with a glass shelf, footrest and sliding storage system. 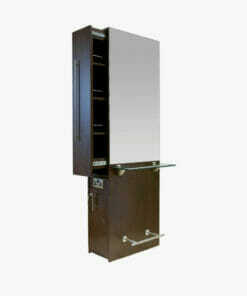 Two position island mirror unit with fitted metallic footrests, rounded shelves with dryer holsters and side storage unit.